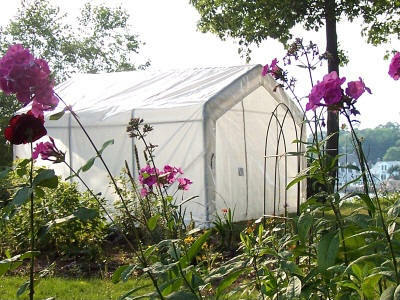 Our Portable Greenhouses are constructed of heavy-duty galvanized steel frames and long lasting covers with 10 oz sq yard(12 oz sq meter) 24 mil thick rip-stop fabric complete with UV protection and an inner black scrim. Suitable for residential, agricultural and commercial uses. 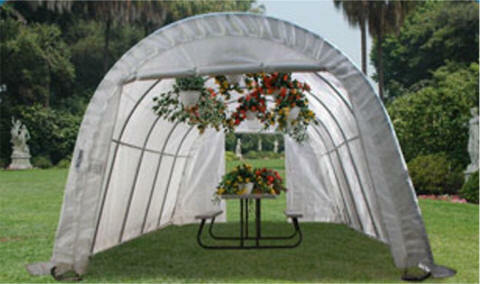 Our Portable Greenhouses are all about protecting your investments. 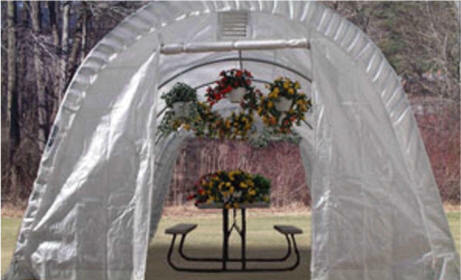 Cover and protect cars, boats, RV's, campers, equipment, tools, or anything of value from weather. They are perfect to create a workshop or workspace. Commercial uses at jobsites for temporary workspace provide valuable space at minimum costs to reduce delays caused by weather and increase contractor profits.